Even at the tender age of five, I understood that lesson and have always been one to pitch in when needed. 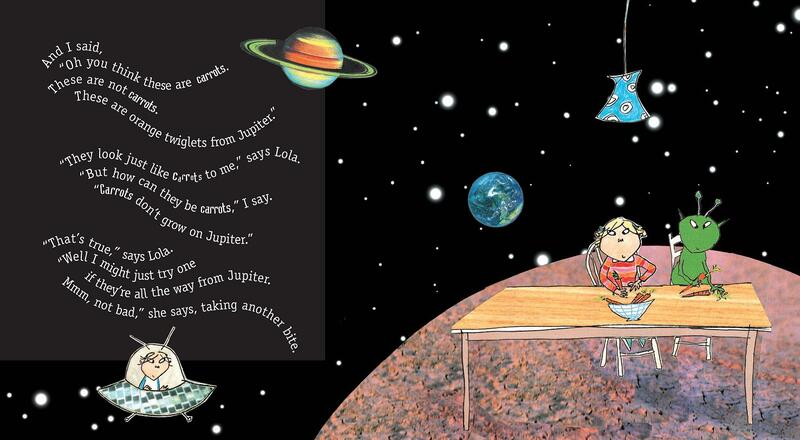 It made an impact on me and I remember it being one of my favorite books. 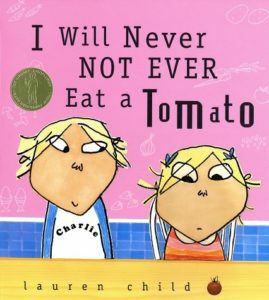 My current favorite kids’ book is not as virtuous as Little Red Hen, but it has definitely made a big difference in my kids’ behavior. 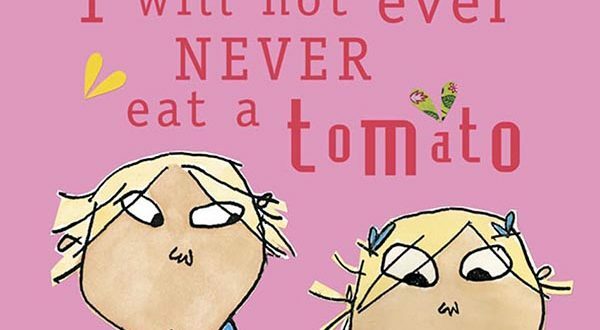 The book titled I Will Never, Not Ever, Eat a Tomato by Lauren Child is about picky eater Lola who refuses to eat just about anything edible. To counteract this, her clever brother Charlie invents this fantastical stories about the origin of certain foods that Lola would never normally consider. Carrots are not carrots—they are Orange Twiglets from Jupiter. Mashed potatoes are not mashed potatoes—they are cloud fluff from the tippy-top of Mt. Fuji. And fish sticks? They are Mermaid Food from the Grocery Store Under the Sea. Previous PostRed Sox Win = Kids Eat Free at the Ninety Nine Restaurants! Next PostGet Lost! WCKC 2018 Guide to Central Mass Corn Mazes!